8 weeks later, Chase during his finale Show Case: last group dance of the season with his awesome counselors! Hello! If you're on this blog post, you've probably watched Chase's dance life evolve this summer on Instastories (click here for videos)! Or if you're new to us and interested in a summer camp or dance camp/classes - you've landed on the right page! 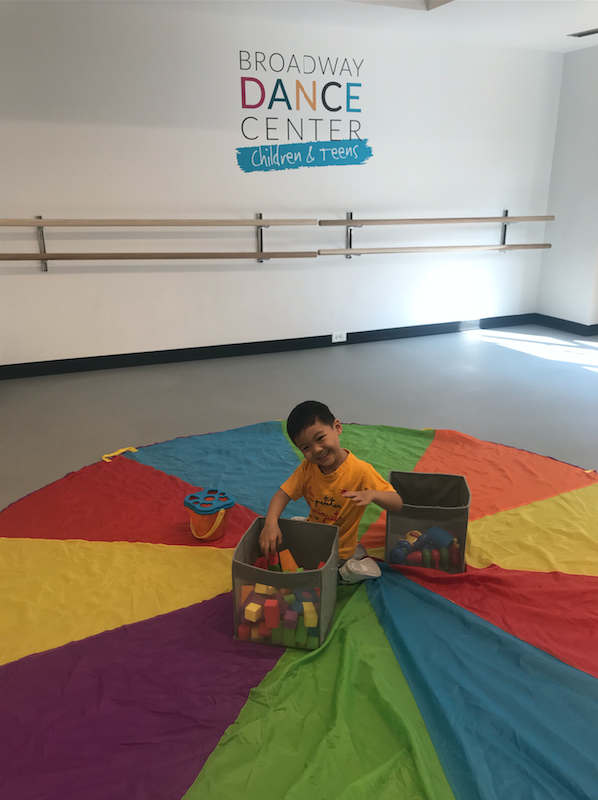 We looked into different types of camps for the summer, but when I saw "Broadway Dance Center Children & Teens" it caught my eye because Chase loves dancing at home! The longest class Chase attended prior to dance camp was 3 hours. 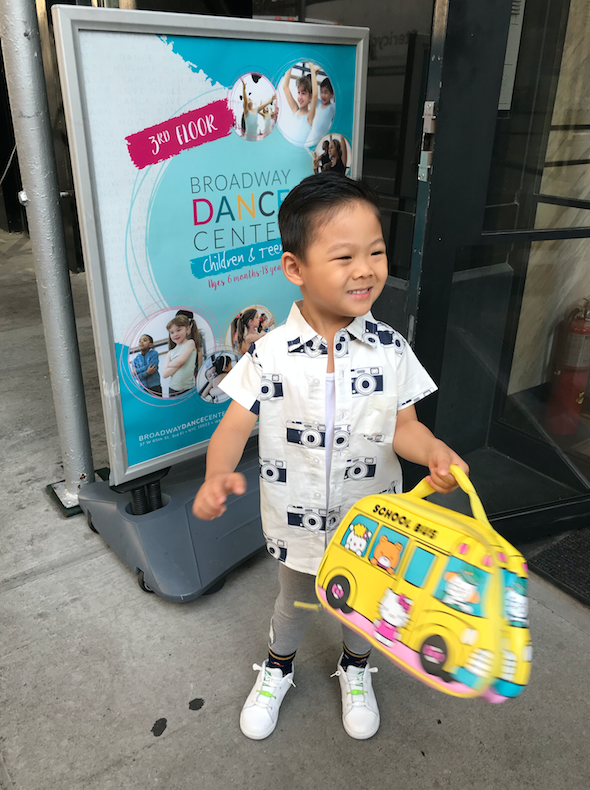 When we partnered up with Broadway Dance Center Children & Teens, I wondered how he would handle a full 9-4 day, Monday through Friday. Or rather, I wondered how I would handle a full day away from Chase! Ha. Turns out we both fared very well and the 8 weeks flew by for both of us! The full day schedule gave me a chance to get work done at home and Chase had a blast all day! Camp starts at nine, but campers are welcome starting from 8:30am which is great for dropping them off before heading to work or to get a head start on your day. 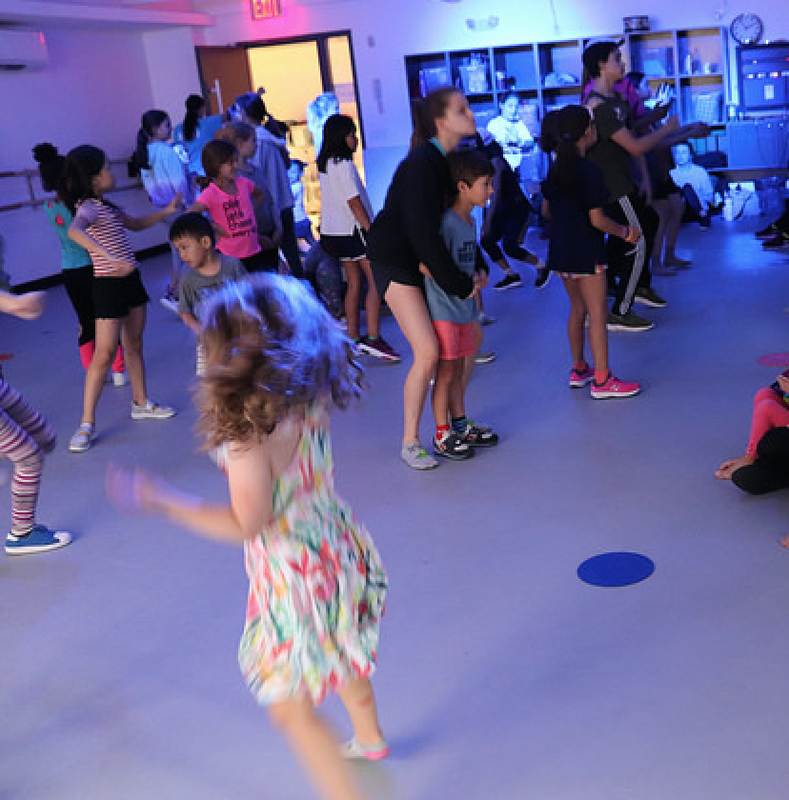 The great thing about BDC is that it's truly a summer camp and not just dance all day. Once, Chase took a sick day and he told me he was sad to miss crafts and play times. They often venture out to Central Park as well! If you're a parent who follows me on Instagram, your child might be on the younger side. 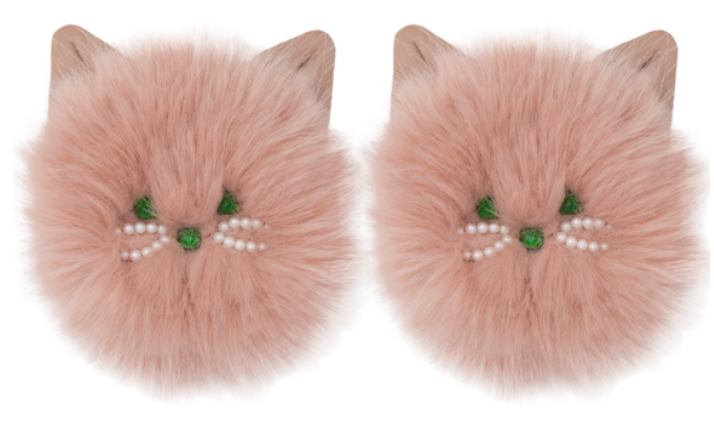 There is nap time after lunch, and you can even bring something snuggly like a stuffed animal for your child which they will keep for them in their cubbies. They bring home arts and crafts nearly every day. You can also see how clean the facilities are kept! Chase learned to do headstands and forward rolls during tumbling time! 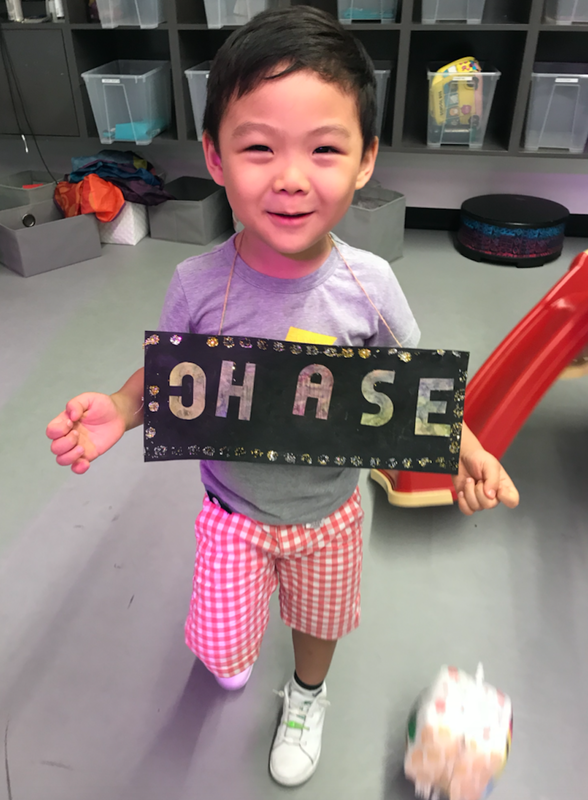 Chase was excited to go somewhere new, but he had just graduated as one of the biggest kids and it was his first time being in a setting as the "little one". On the first day, the teachers blew bubbles and his face lit up and I knew it'd be fine to leave him. When I asked him about camp the first week, I could tell he was particularly intimidated by moves he couldn't master yet. At first, he would rather not participate than try the moves. After the first week, it was clear he already had a best friend. They were glued at the hips! Each week the theme (Superheros, Wild West, Space, etc.) changes as do the teachers. The faculty members are really invested and encouraging! Then came the first Friday. Every Friday of summer camp, the school has a special Show Case where the students show off what they learned that week! I knew it would become the highlight of my week, and I absolutely counted down the days until each showcase. 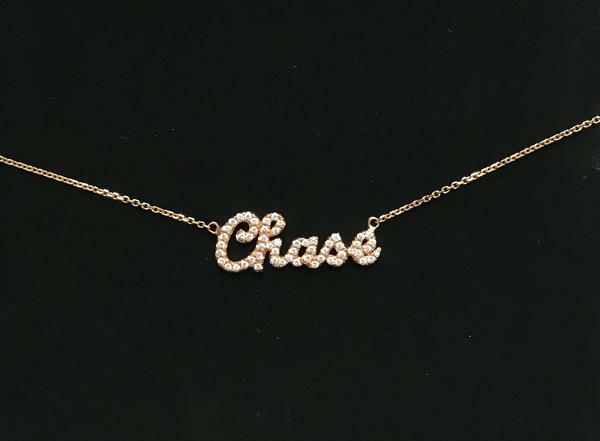 It was a chance to see what Chase leaned toward. For instance, he turned it UP for Hip Hop! His performed first Show Case facing me, lol! As the weeks progressed, he made lots of friends who cheered for him, barely noticing I was even there. It was clear Chase was becoming more comfortable with the school, the routines, and of course the dance moves. There is no doubt he enjoyed every minute of it! Confidence level week 7! YEAH! What I did not anticipate was the intense warm fuzzy feelings witnessing the community at Broadway Dance Center Children & Teens. Around week 2, Chase came home one day talking about whether or not big kids are scary and we had a conversation. I had no idea that they would get to know each other so intimately over the following weeks to build real connections and friendships. I can't thank the teachers enough for facilitating this! They are always hugging and chanting encouragements. "Go Chase!!" Sharing is caring - Even hugs! Chase was in the 3-5 year old class. Dance parties with other age groups, as well as practicing for numbers together. She wanted a photo before flying back home. We met a lot of International students who fly to NY to attend camp here! Dancing has lit up our lives. The first experience was when I was watching TV one evening, Chase wanted my attention. He made me turn off the TV as well as all the lights to set the mood, imitated his teacher's introductory words, asked Google Home to play his song, and put on a "show"! It's been a nonstop dance party ever since in our household! There are Winter, Spring, Holiday camps in addition to Summer camp. Located on 65th street, west of Central Park, the neighborhood is surrounded by restaurants and Lincoln Center itself! 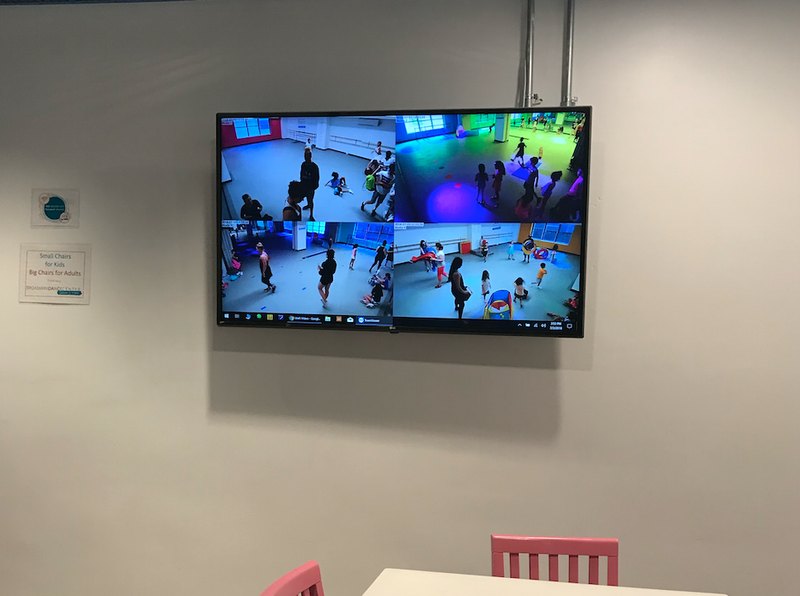 Fantastic way to keep kids active! We can't thank everyone at Broadway Dance Center Children & Teens enough!! Thank you so much for having us, and we hope to see you very soon! And POSE! :) Until next time! The Garment District is near and dear to my heart, because this is where I spent the bulk of my time as a young designer - sourcing not only fabrics and trims, but the production of my ready-to-wear line as well. It's made up of hardworking, friendly people I will never forget, some even treated me like their own daughter. Today, I can go back for leisure and though the Garment District is always changing, it's nice to see the familiar "classics" stay the same. Nestled between Bryant Park and Herald Square, its in the heart of the city: 6th to 9th Ave, and 35th to 40th St. 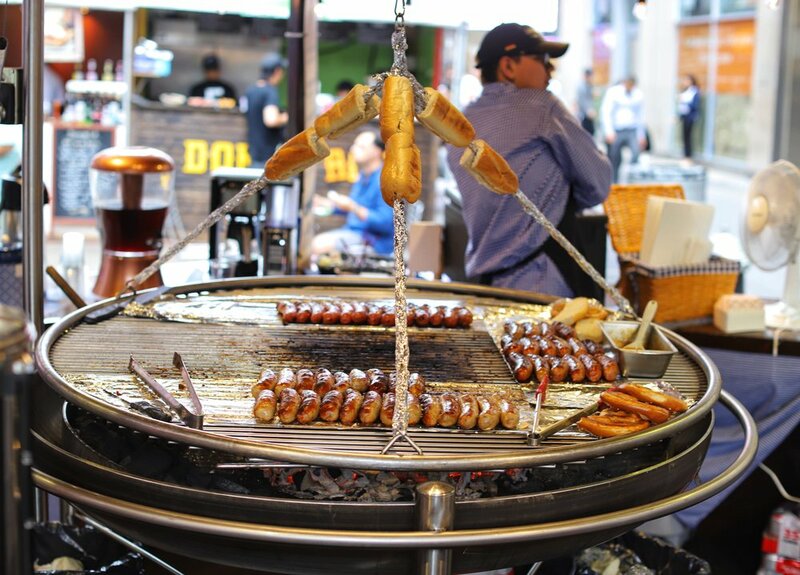 This small area is bustling with life, tons of shops big and small, but let's start with first things first: Eats! There is still plenty to eat outside of the Urban Garden area from delis to coffee shops. The next time I am there in the morning, I'm going to skip Starbucks and try Culture Espresso on 38th st and 6th Ave.
Well, it is the Garment District after all! 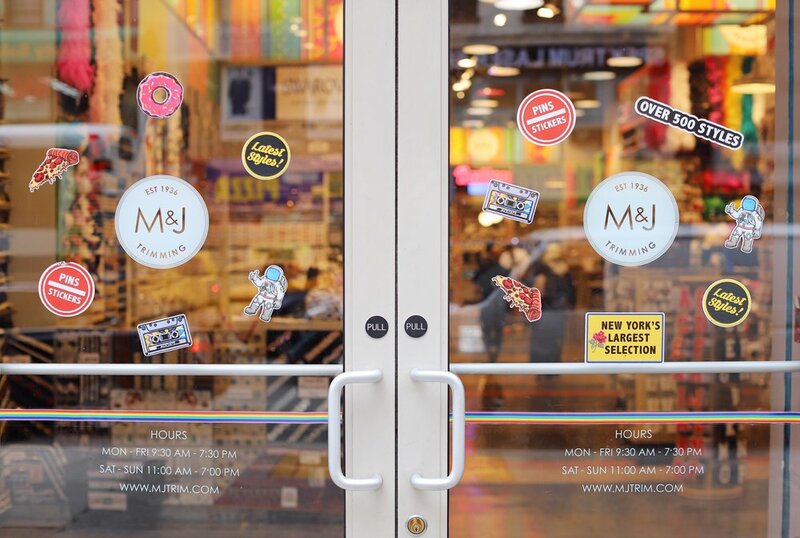 Note: most of the shops here are open Monday~Saturday, and normally close at 5pm. The general vicinity of the shops are located around 37th through 39th Streets, between 7th and 8th Ave.
Now finally, off to my favorite part of the day, rooftop bars!! Man, a refreshing cocktail with friends, paired with a view of my favorite city never gets old. 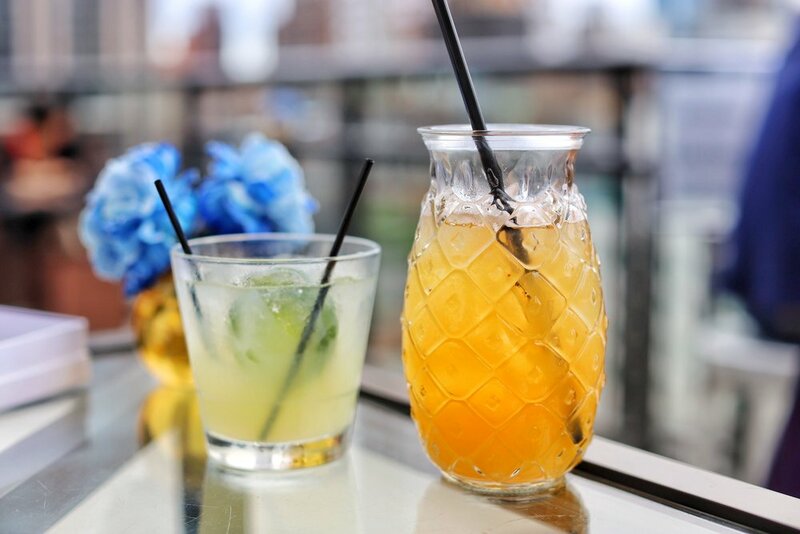 If you're traveling or getting off work early, Spyglass rooftop opens earliest so I would start there to grab some snacks and drinks, and then bar hop over to the Refinery Rooftop. There, you can catch one of the endless stunning sunsets the city has to offer with an Espresso Martini in hand, to carry on through the rest of the night. For a more intimate vibe in this touristy area, continue downstairs of the Refinery Hotel to Winnie’s Jazz Bar. I need to check this place out myself, for an easy night out of live jazz. I imagine sitting back and just melting the stimulating day in the city away. Lastly, while researching the Garment District, I discovered OM Factory! They hold anti-gravity Yoga classes there - I would definitely like to check it out sometime. Would you? Thank you to the Garment District for sponsoring this post and sharing it's gems with us. matcha (not for kids because of caffeine), dried dates/friuts, cacao nibs, etc. So I get a flood of questions regarding my daily life on Instastories and I apologize in advance if I haven't been able to respond to your question(s) yet. Alright! Let's do this! I wake up the day after my short pep talk from Sai and casually start filming. 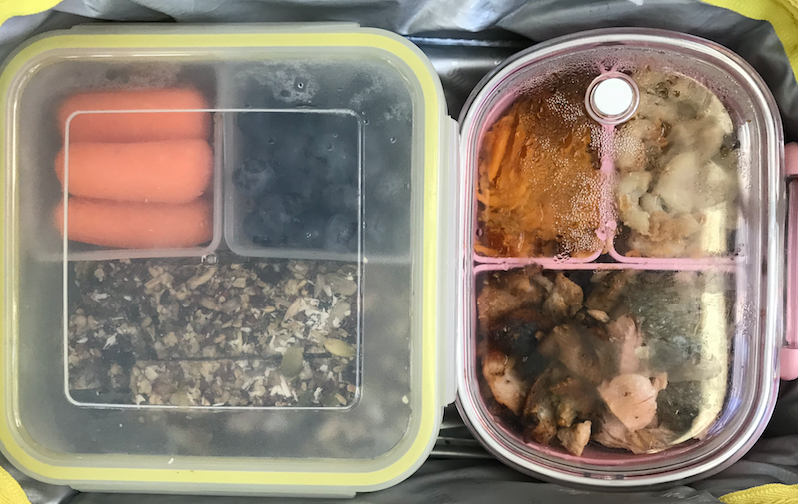 The result is nothing fancy here - just an ordinary day, a very straight forward peek into my life: how I go about my new healthy lifestyle goals in search of more energy, struggling with the art of juggling motherhood & working, and everything in between! No two days are the same for me, but we got lucky because it happened to be Day 1 of properly Sleep Training our second child, 14 month old Hugo! I tried to be as informative about the little events that take place, so I hope I was able to answer some of your questions! Thank you for watching and I also want to say that I appreciate all of your encouragement & suggestions that are always pouring in as well! Can't thank you guys enough for the love! Will be back with more videos if you guys like this. Probably some short clips of specific topics :) What should I review or talk about next? PSA: Lyft now has Car Seat Mode! Hello Riders with little ones! 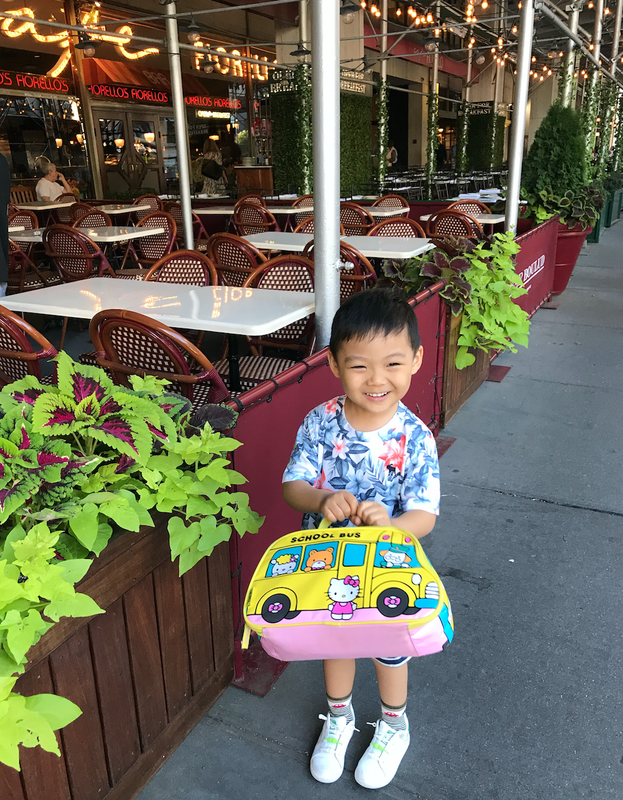 I often get asked by out-of-towners how I travel around Manhattan with kids and if they will need to bring a carseat on their trip to NYC. If you're not comfortable taking the subway and/or prefer taking a car, I definitely recommend taking a Lyft! Not only is Lyft affordable, but the ridesharing app it also provides the option to request a car seat, ensuring a safe and enjoyable ride with your little one. Every Lyft driver who participates in Car Seat Mode is extensively trained and tested by third-party child passenger safety technicians. Our precious children's safety is a parent / guardian's priority! So make sure you update your Lyft App and select “Car Seat” mode next time you need to get around the city with your child. Your ride arrives with the car seat already safely installed, so make sure to book a few extra minutes in advance to give the driver time to install the car seat. Chase loves to strap himself in! Enjoy your ride with peace of mind and no extra car seat to pack on your trip to NYC. Use code PATRICIACHANGNYC for $5 off your Lyft Car Seat ride! Hello parents! In this post I'll be sharing our teeth brushing routine with my 3.5 year old, Chase! After years of repetition, he now understands we must brush our teeth after breakfast (he doesn't enjoy the taste of breakfast if I brush it before), sometimes after lunch or if he had a sweet treat, and definitely before bed. We make sure he brushes all his teeth, tongue, and ends with a mouth wash gargle! He will floss here and there as well. It takes a lot of patience for us parents. I have some miserable memories as a kid when all I wanted to do was sleep nice and cozy on my bed, but my dad would prop me up on the sink and brush my teeth. Here are some tips that got us through and to this point of routine. After a full day of activities and a big dinner, we wind down around 6:15 with a warm bath. While he’s in the tub, I’ll often brush his teeth there. While children are still young, brushing teeth in the bathtub is convenient as brushing at the sink almost always ends up in a mess of toothpaste everywhere and wet PJs. When he tells us he is full, we go to brush his teeth straight away before the food coma kicks in. When I have to choose, I'd rather spend my energy on brushing his teeth over taking a bath. It's something I never ever want to skip - if he falls asleep, I’ll even dry brush his teeth in bed. Since brushing our children’s teeth is challenging for most of us parents, I recommend the Disney Magic Timer App! I think an app is a better alternative to YouTube videos since it’s not tempting for your kids to click on a new video, and the app is personalized along with a reward system. If you prefer to try methods without using screens, I've listed below some tricks that have worked for us! Regardless of your method, reward them with positive reinforcement after a good brush and gargle with, "You did a GREAT job! Every day you will get better and stronger! Your smile looks great and your teeth are so shiny!" *high five* To maintain their healthy teeth and body, try to avoid sugary foods. First of all, try your best to MAKE IT FUN, and not give them negative associations. In general, make parenting fun - you will have a higher success rate of them cooperating with you! Don't worry, it's not too late to get creative! Before we get silly, explain to them why we brush our teeth. I make Chase open his mouth in front of a mirror, or take a close up photo to show him the food in his teeth. You can teach your little ones about the "bugs" (bacteria) that rot their beautiful little teeth, and how to sweep them all out! I also showed him a video of a kid with a cavity at the dentist getting their tooth pulled (she sat through it very nicely without a tantrum) to explain to him that this is a real deal. To begin, pick out a toothbrush and toothpaste together to make it exciting. You can choose their favorite characters. Don't forget to see if they prefer an electric toothbrush as many kids do. Teach or "show" a toy how to brush your teeth. In return, you can teach your child to be proud of knowing how to brush their teeth well. Try brushing each other's teeth. They will be so distracted having fun brushing your teeth, they won't even notice you brushing theirs. 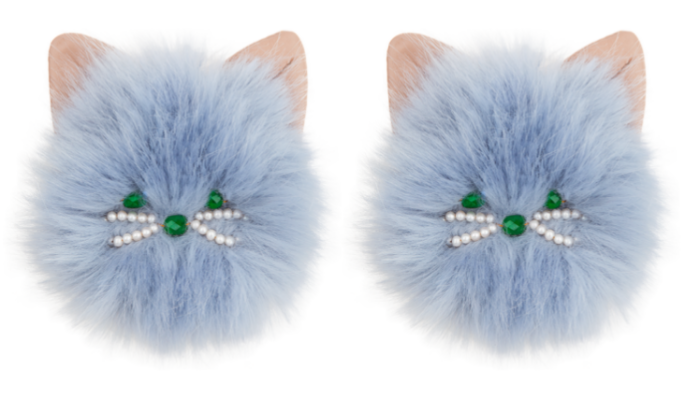 When you ask them to open up and say, "Ahhh", they will automatically keep their mouth open! Similarly, you can take turns. "I brush your teeth, you brush mine!" Start by asking, "do you brush your... nose?!" (or cheeks, forehead, etc.) and they will respond with a big "NoOOo". Have them show you that brushing is for teeth! You can entertain them during the duration of the brush with a special song, a story, or even ridiculous jibberish sounds. This will take their mind off the brushing and concentrate on you. We count on each side in every language we can count to ten in. For example, English, Chinese, Korean, Portuguese, French, Spanish, Japanese. If he seems up for brushing longer, I'll either repeat or even count in jibberish and he has a blast. I probably use this technique the most. I like this method because it makes them get used to a long and thorough brush. Encourage them during their brushing with the progress they are making. "I see 10 out of 20 shiny teeth!". They will get determined to get all 20 teeth shiny. Start with a little friendly competition to make it exciting. Have a race to see who can get started and finishing brushing every tooth! Challenge them to prove you wrong. "I don't know if you know how to brush your teeth. Are you surrrrre you know how to? ", or "Hey Big kid! Can you show me that you know how to brush your teeth?" "I'm going to Tickle your teeth!" Give them the brush after to try. You can follow up with, "now that you brushed your teeth, we can (have story time)!" That's our routine! Please share how you do yours and any tips from your family are welcome! This post was sponsored by Crest & Oral B, and we're proud to support their new Star Wars line because we are big fans! We have Star Wars characters all over the home. In fact, Chase is already a fan of BB-8 so he was stoked that his toothpaste and toothbrush have the matching BB-8 character on it. It's exciting as parents to watch Chase grow up and become so independent! Hello parents! I'm reviewing a new product I received from Fisher-Price for you called Sproutling Wearable Baby Monitor. An ankle monitor that automatically tracks how much your baby is sleeping, if they are asleep (without disturbing them), and notifies you when they're awake. First, it comes in a nice box and was very easy to set up considering it's an electronic device. It's so easy in fact, my three-year old son, Chase, set it up for me since he loves opening packages! It comes with 2 ankle sizes so they can grow into it up to 2 years old. Then I downloaded the app where you can also control the charging dock as a nightlight and play a lullaby/white noise straight from your phone. When Hugo is ready for his nap or sleep, I strap it onto the back of his leg above his ankle. He's 8 months old, an age where he is grabbing at everything, so it is quite amazing that he hasn't pulled it off. I assume the silicon material is very comfortable for him. Sproutling works for babies only when sleeping by themselves on a flat surface for optimal motion sensor accuracy. 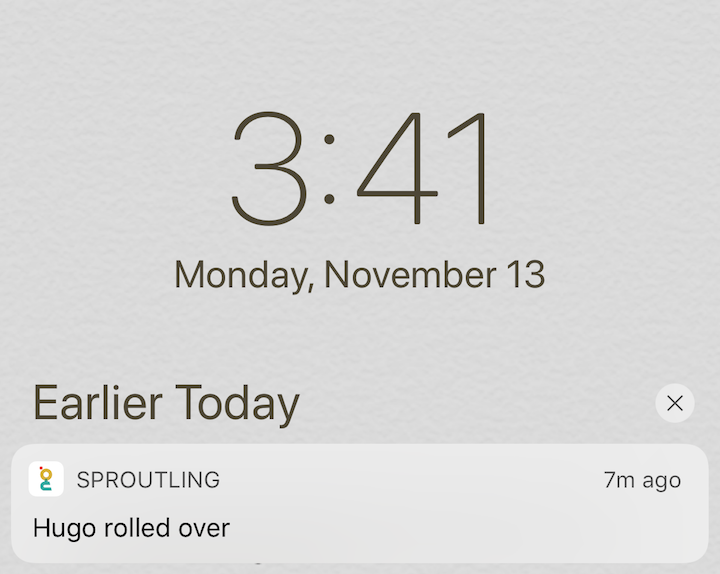 The Sproutling app has been very accurate about when he falls asleep, but you can also adjust it to the exact minute manually. I also add in naps manually if we are out without the sensor so it can better "learn" his sleep patterns. Here comes the neat part. 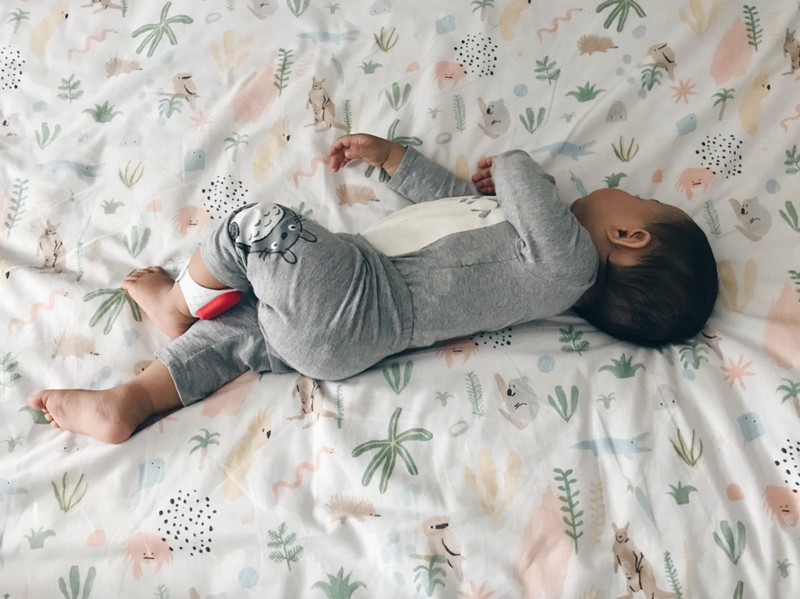 After the first 7 days of getting to know your baby's sleep schedule, it can predict how much longer your baby may nap/sleep for. Only if it could predict his big brother, Chase's interruptions - ha! Another convenient aspect is the alerts are sent straight to your phone. For instance, I was FaceTiming with my sister when I got a notification at the top of my screen: "Hugo rolled over". I quickly went to his room and he started crying as I opened the door to his room. Normally, I walk in after hearing him cry. Another situation where it was helpful was when I was cooking. Though the kitchen is next to the baby room, the vent in my apartment is very loud making it harder to hear Hugo's cry. 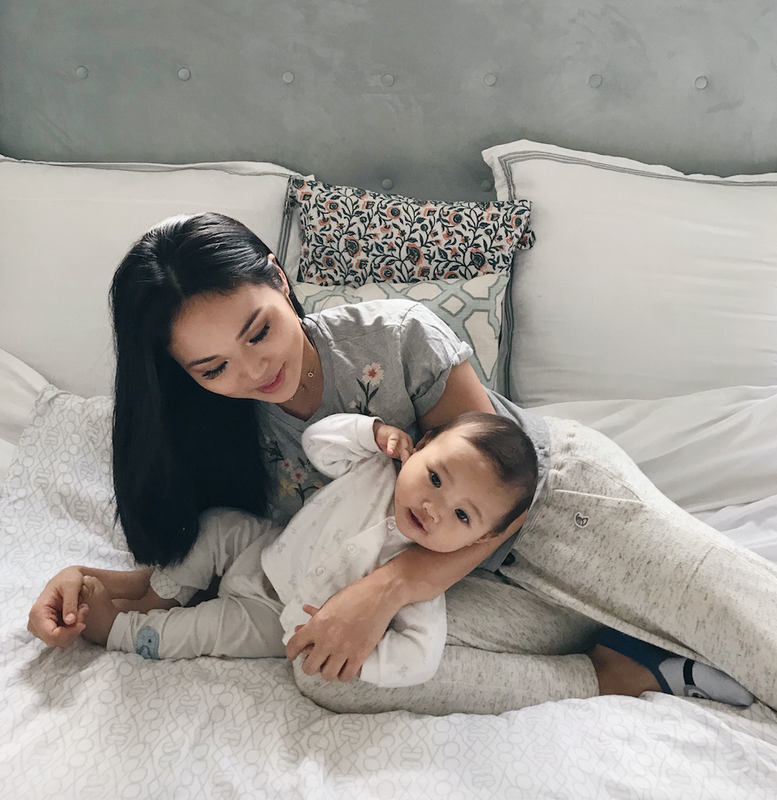 Sometime those small things can be helpful to parents in various ways to go about your day during their nap or sleep time with a little less worry. The app is very straight forward and easy to organize your baby's sleep activity.